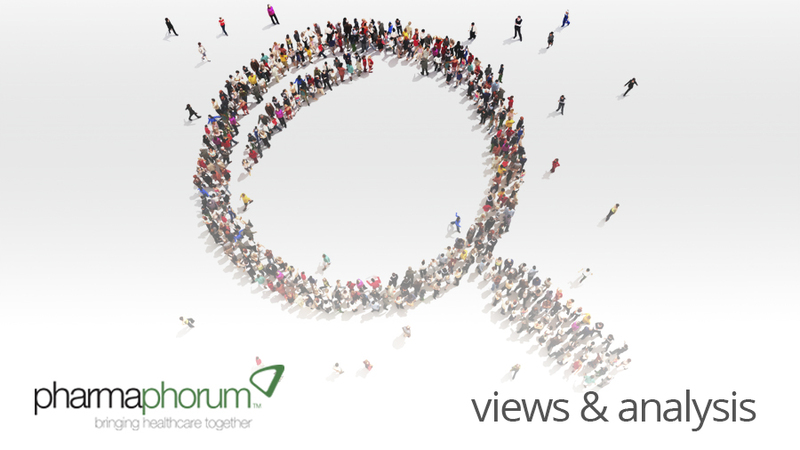 Following his recent appointment as research director at Parkinson’s UK, Dr Arthur Roach speaks to pharmaphorum about his aspirations for the role and the most promising developments being made in Parkinson’s disease. You recently took this role having worked in pharma companies. What prompted you to join Parkinson’s UK? During my career I have also worked in academia, and biotech companies, and with investors and regulators, and I know that all these parties, as well as pharma, have to work together to unlock the potential of new scientific advances. These advances have been especially exciting in Parkinson’s recently, with new genetic discoveries pointing the way to potential new treatments to halt disease progression. I took this role at Parkinson’s UK because it provides a fantastic opportunity to work with all of these partners, with the united purpose of delivering better treatments, and ultimately a cure. This is only possible because of the far-sighted and generous commitment to research funding that supporters of Parkinson’s UK provide. What do you see as the most important goals for Parkinson’s UK? How do you see your own role developing? What do you want to achieve? We have to find new ways to make our research resources, and those of our partners, work more effectively to bring new treatment options to patients, faster. I came to the role with the goal of adding to Parkinson’s UK’s current research programme by creating new initiatives that will focus more intensely on discovering and bringing into use new drugs for Parkinson’s. These are big objectives and they will require the formation of dynamic collaborations with industry, academia, drug regulators, supporters and investors. It is the creation of these high-functioning, drug-targeted collaborations that I most want to achieve. Parkinson’s UK is investing in numerous research projects in the UK and overseas. What are the greatest challenges in this field? One of the biggest challenges in Parkinson’s research is to build truly effective collaborations between strongly independent groups. I have seen this work in the past and I am confident in the ability of Parkinson’s UK to take a lead role in building new consortia and collaborations. Another challenge is to translate the science, which I truly believe is amongst the most exciting in modern medicine, into practical, proven treatments. We will be looking to understand and exploit every discovery, and to do this we will be working with experts from the medical, drug development and regulatory domains, but it still will not be easy. Can you explain the drug development path and how it could be improved? How many hours do I have to answer this one? To limit myself to a few salient points, the early stages of pathophysiology investigation and drug discovery are increasingly being abandoned by large companies, leaving a gap, but also creating an opportunity for academia, medical research charities and small companies to step in and develop opportunities and create value that large companies will pay to acquire at a later stage. Parkinson’s UK is in a unique position to step forward and facilitate this in the area of Parkinson’s research. For the later stages of drug development we need to develop the methodologies for clinical studies and drug approvals in the earliest stages of progressive neurological diseases, since there is a scientific consensus that disease-modifying treatments based on our recent discoveries will work best, and should be tested, in these early patients. This is true not just in Parkinson’s, but in a number of neurodegenerative conditions. Are we right to be optimistic about the future of glial cell line-derived neurotrophic factor (GDNF)? What are the challenges and opportunities? Yes, absolutely. Despite the many hurdles that have had to be overcome, this approach of delivering specific and potent growth factors to tightly targeted brain areas has very exciting potential. Delivery may be by direct infusion, viral vectors, cell implants or pharmacological stimulation of local production and each of these has its own special challenges, but this is a uniquely promising approach that must be pursued to the end. We’re looking forward to the results of the phase II GDNF trial we’re currently supporting, which uses a port to directly infuse GDNF across the blood brain barrier, and we are delighted Pfizer has taken out an exclusive option on a phase III trial. What are your thoughts on the recent University College London research into synapses [junctions between nerve cells]? This is a really elegant piece of scientific research. Our challenge now will be to push forward with this new understanding of Wnt [signalling] and its relationship with the loss of synapses in the early stages of Parkinson’s, and define if there is a potential path to a cure or new treatment. What can other stakeholders, such as the pharmaceutical industry, do to help? There is a great need for industry and other players to join together in pre-competitive work. This will involve sharing data from completed trials and working together on qualified biomarkers, registration endpoints and new trial designs. This is happening at the moment in places, but I hope it will expand across the field. There will also be opportunities for industry to externalise innovation and reduce costs by participating in consortia that support translational and early development, thereby keeping the early pipeline flowing in strategically important fields where they no longer have a strong early research presence. Is the pharma industry putting patient needs at the heart of its research? Patient needs may be at the heart of pharma industry research, but you will not be shocked to hear that it is not the only consideration. We need to be realistic about our partners if we are to work effectively with them and craft collaborations that will engage their very considerable resources. That is why patient-centred organisations like Parkinson’s UK are critically important: you can see it in our advocacy and patient care activities, and in the complete dedication of our research to bring new treatments, and even a cure, to people with Parkinson’s without competing and conflicting priorities. Dr Arthur Roach has over 25 years’ experience directing research in Parkinson’s and other neurodegenerative conditions at universities, hospitals, pharma and biotech companies. He is founder and president of the Geneva Pharma Network and, before becoming Parkinson’s UK research director, he was founder and programme leader at CHORD Therapeutics in Geneva. Prior to this he was senior director of Neurodegenerative Research and disease area team leader for Parkinson’s disease at Merck Serono, where his work led to a patent filing for use of safinamide in Parkinson’s. Previously, Arthur held positions at DuPont Pharmaceuticals and Bristol-Myers Squibb in the US, and Allelix Biopharmaceuticals in Canada. Prior to that, he spent 11 years in academic research, including positions at the University of Toronto and Cornell University Medical College in New York. Have your say: Are industry and other players likely to join together in pre-competitive work?